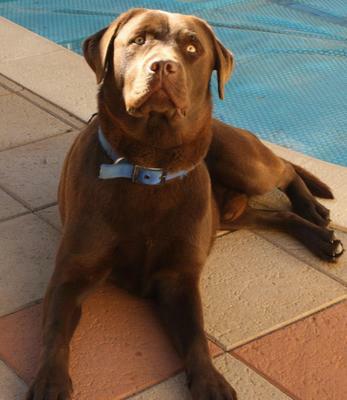 l live in Australia we have a choc lab his name is Boof he is over a yr old . I am trying to fine a site where you can go where there are other ppl with choc labs where they talk about there labs or if they have trouble with them . right at this moments boof loves to dig holes . he such a big handsome boy! I love him!! !